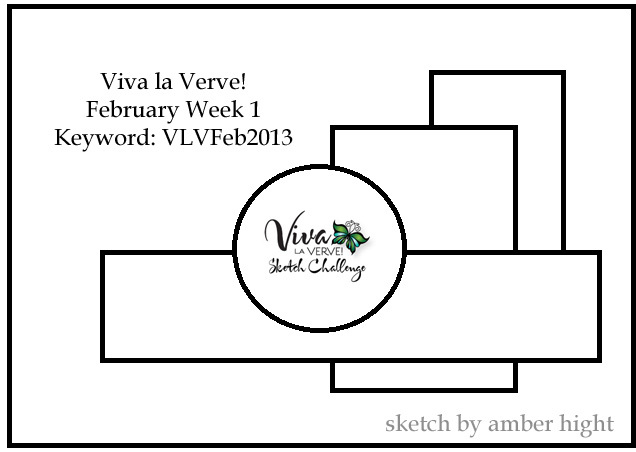 I used this week's Viva la Verve sketch, which was sweet and simple. I pulled out some spring/Valentine's colored papers and got to work. I'm heading to baby shower this time next week and thought I should whip up a card for the occasion. My bf is having a little girl next month and these colors screamed girly. I sewed around the outside panel, but left the others plain. I stamped the larger of the two hearts from Text Objects, fussy cut it, and then added a little sentiment from Over the Moon. I also added some glitter to the heart to make it the focal image when looking at the card. Love the colour combo and way to rock the sketch! Not sure who I'm rooting for today...may have to razz you and say the 9ers wink, wink. Enjoy the party, watching the commercials, and hopefully it will be a good game and not a blow out.